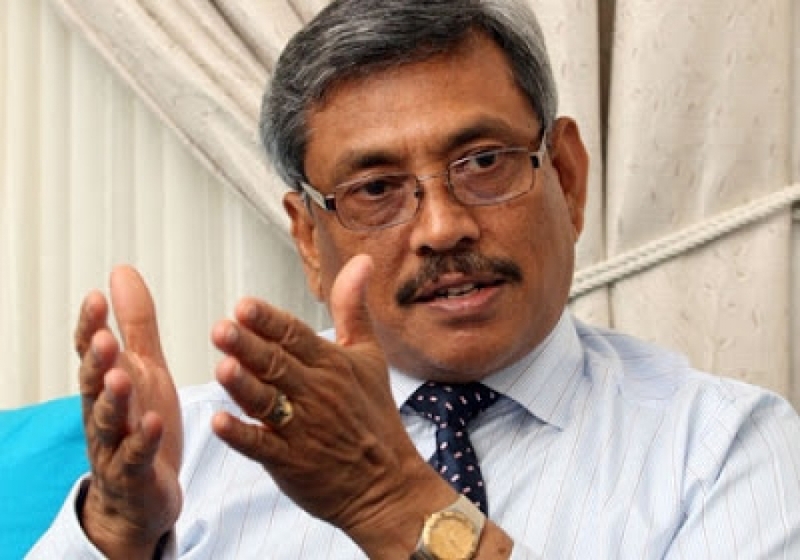 Former Defence Secretary Gotabaya Rajapaksa testified yesterday before the Colombo Special High Court, in a case against five LTTE suspects charged with aiding and abetting the LTTE suicide cadre who attempted to assassinate him on December 1, 2006. The case was taken up before Colombo Special High Court Judge Iranganie Perera and evidence produced by Deputy Solicitor General Rohantha Abeysuriya and Senior State Counsel Nayomi Wickremasekara. The former Defence Secretary said that on December 1, 2006 he had left his official residence at Bauddhaloka Mawatha to the Temple Trees in a bullet proof BMW. He said he was seated behind the Security Personal Officer (PSO) who was sitting next to the driver. He said he heard a huge explosion when the convoy reached Pittala Junction in Colombo 3. Rajapaksa said he was thrown to the side of the vehicle from the powerful impact of the explosion. He said that he saw a motorcycle from his convoy and several vehicles in flames. He said security officials had taken him out of the vehicle by breaking the vehicles locks. The Court concluded recording evidence from Rajapaksa and fixed further inquiry into matter for tomorrow (28).